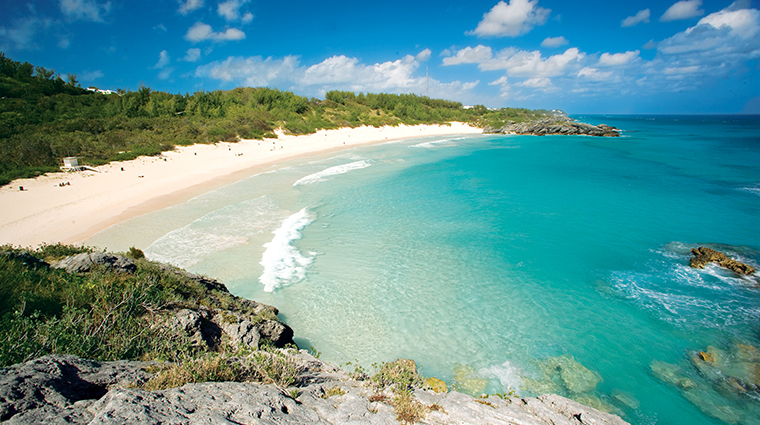 The very first thing you’ll notice about Bermuda – even before you land on the island – is its vibrant color. Pristine pink sand beaches meet sparkly blue water making this island picture-perfect, even from the air. On land, there’s a constant parade of tropical colors for your eyes to feast upon, from the fiery reds and yellows of hibiscus to the brilliant shades of pastel splashed upon the walls of white-roofed limestone homes. A tiny archipelago of connected islands with a population of 65,000, Bermuda measures only 21 miles from end to end. And yet this miniature subtropical paradise offers a plethora to see and do including water sports and beach activities, golf, tennis, biking, dining, shopping, spelunking, museums and aquariums as well as historic tours. All of this makes it a favorite destination of East Coast and British devotees alike.